Le ColorQube 8700 n'est plus commercialisé. 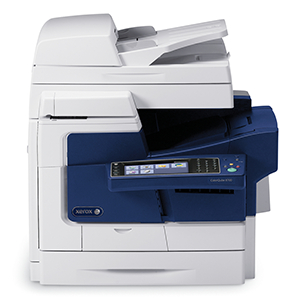 Buyers Laboratory, Inc. (BLI) recently tested the Xerox ColorQube™ 8700X and rated it "highly recommended". They praised the ColorQube 8700's ability to integrate with productivity-enhancing software solutions, easy-to-use scanning features, low purchase price, and competitive supplies cost. 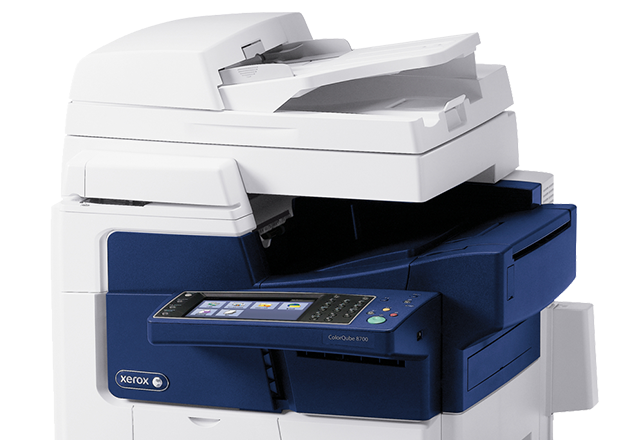 "The Xerox ColorQube 8700X gave an outstanding performance throughout testing, including a perfect showing in reliability." 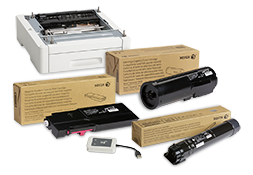 2Average Monthly Print Volume – expected regular monthly throughput. 3Pages standard moyennes. Rendement CMJ composite moyen en fonctionnement continu conforme à la norme ISO/IEC 24711. Le rendement peut varier en fonction de l'image, de la couverture et du mode d'impression.